While life can be busy and it can be much easier to pick up a snack at the service station on your way home, chances are that snack is setting you and your kids up for a grumpy afternoon. The foods you find at home are going to (hopefully) healthier and give the kids the ‘pick-me-up’ of energy they need to get through the afternoon with smiles rather than stressed out faces. This week’s simple 5 ideas are fresh, fabulous and remarkably easy. Sometimes we just need to back to basics! Slice the cucumber and place a small chunk of tuna inside. Connect using a toothpick or equivalent. Try a few different things on bread or toast to get their energy levels boosted. 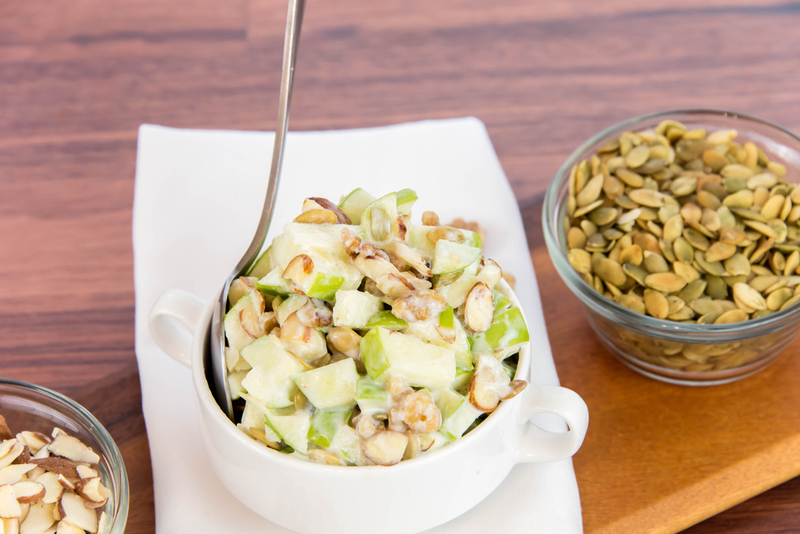 Chop up an apple and add in chopped almonds and walnut, pumpkin sees and drizzle with lemon or lime juice. Chop some cherry tomatoes and connect with small bocconcini. Attach a little basil and drizzle with balsamic vinegar if you like. ← Getting to HAPPY – Why are we so unhappy with our lives?